Excavated 1806, 1813, 1820, 1928, 1942, 1950. Mau gives a description of the Basilica and reconstruction drawings. See Mau, A., 1907, translated by Kelsey F. W. Pompeii: Its Life and Art. New York: Macmillan. (p. 70-9). 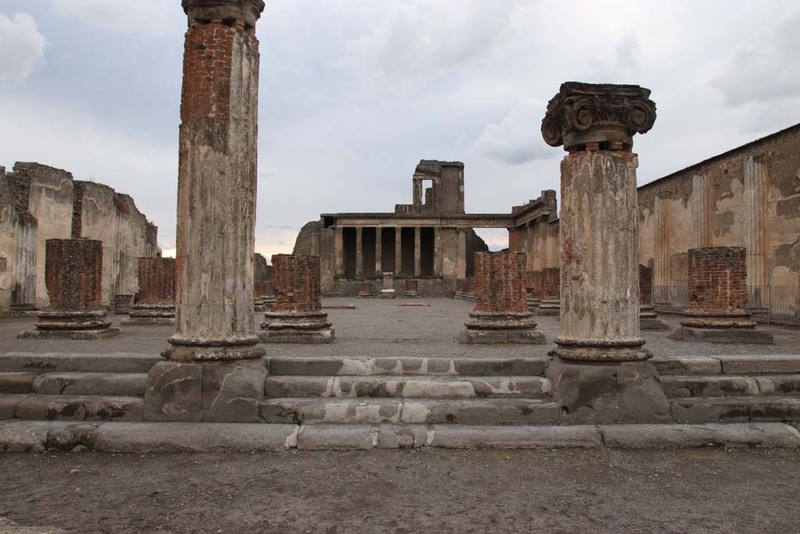 VIII.1.1 Pompeii. December 2005. 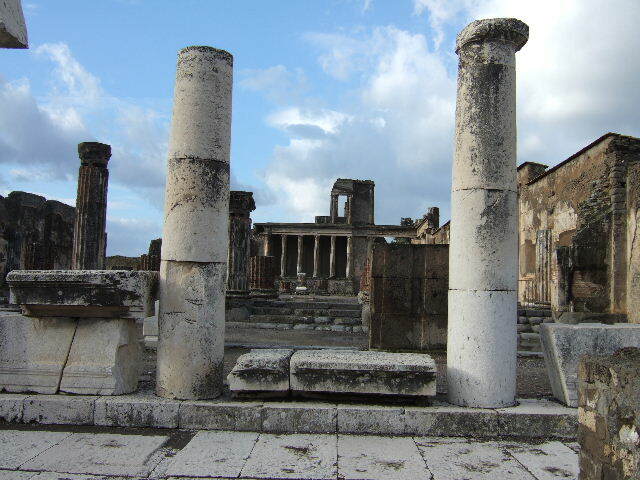 Looking south along west side of the Forum, with Basilica entrance, on the right. VIII.1.1 Pompeii. September 2015. 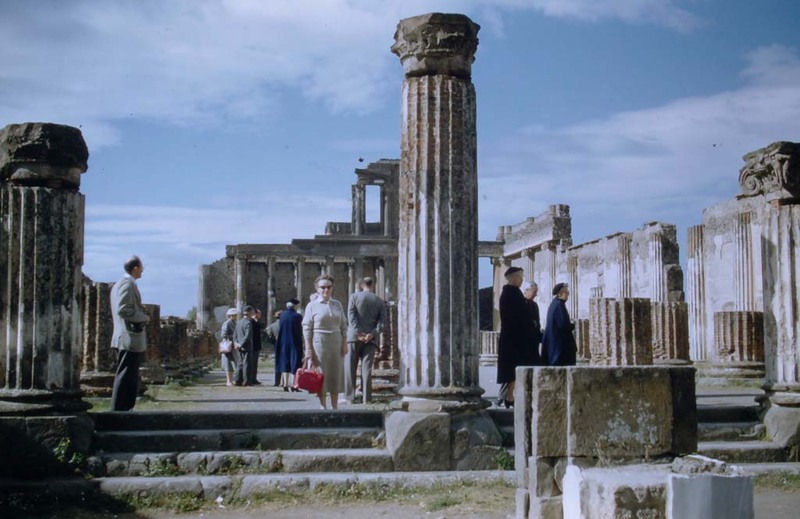 Looking south along west side of the Forum, with Basilica entrance, on the right. VIII.1.1, Pompeii. June 1962. Looking west from Forum towards Basilica. Photo courtesy of Rick Bauer. 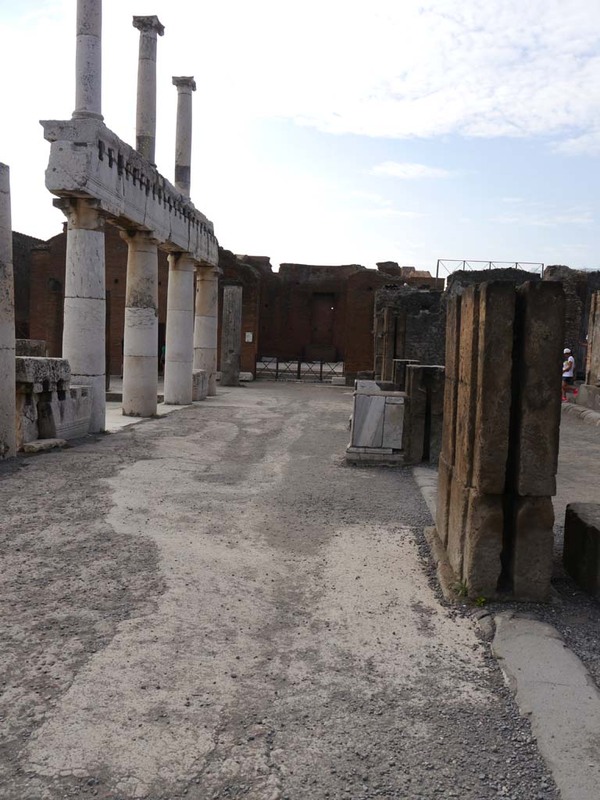 VIII.1.1 Pompeii. December 2005. Basilica looking west from Forum. VIII.1.1 Pompeii. December 2005. Looking north-west from Forum towards the entrance steps to Basilica. 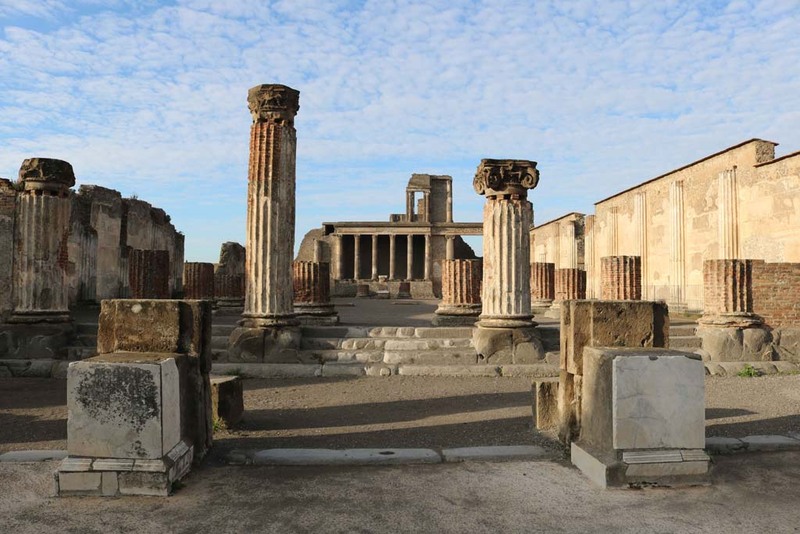 VIII.1.1 Pompeii. December 2005. 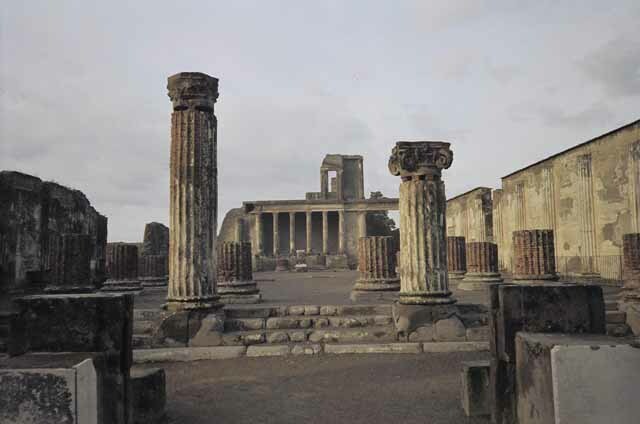 Basilica, looking north across entrance, columns and steps. VIII.1.1 Pompeii. May 2010. Looking west from the Forum, across entrance steps into Basilica. VIII.1.1 Pompeii. C.1880-1890. G. Sommer no. 1225. Photo courtesy of Rick Bauer. Looking west from the Forum, across entrance steps into Basilica. 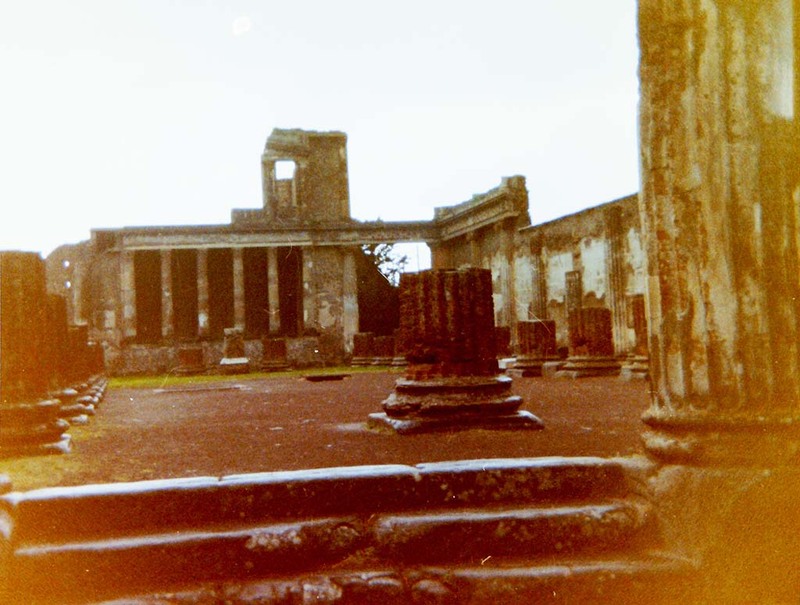 This shows the Basilica before reconstruction. 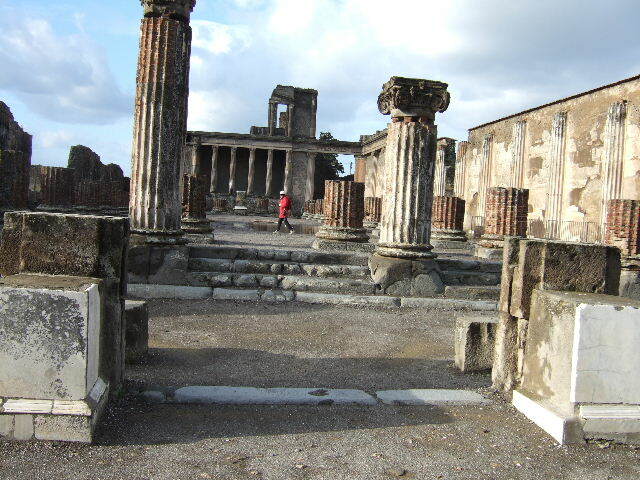 VIII.1.1 Pompeii. Stereoview looking west from the Forum, across entrance steps into Basilica. 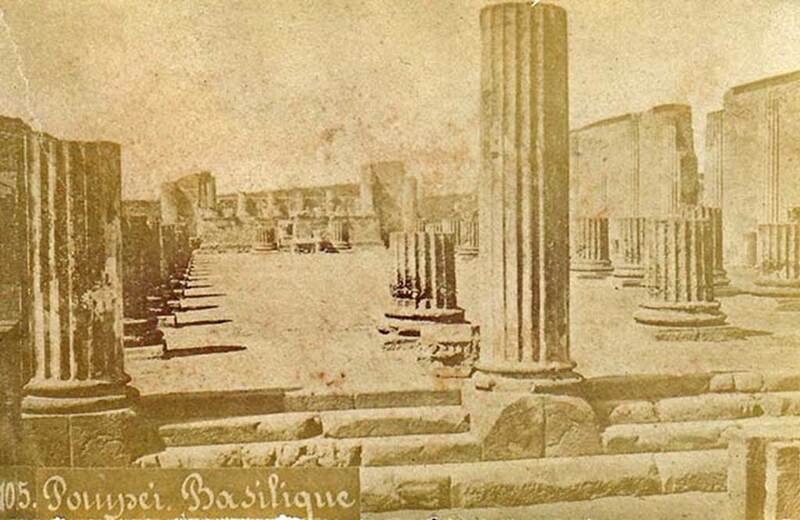 This shows the Basilica before reconstruction. Photo courtesy of Rick Bauer. 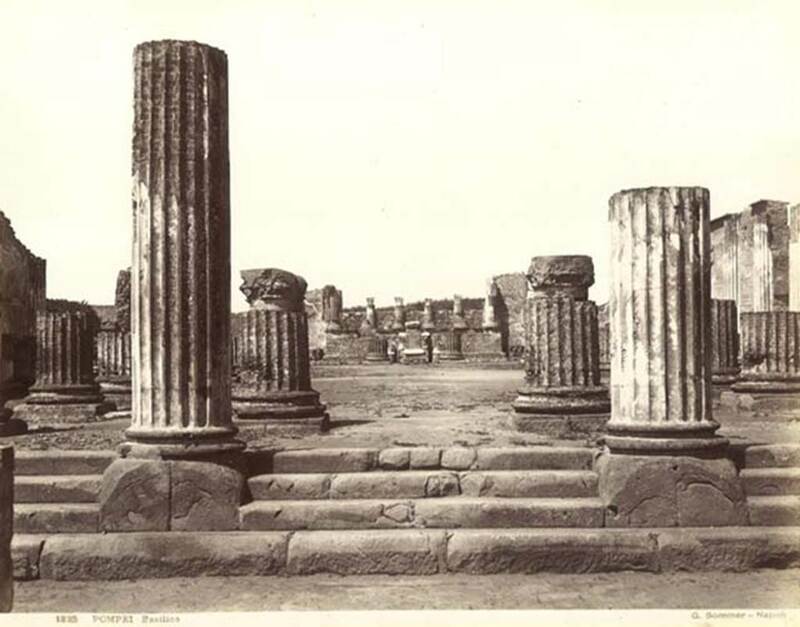 Stereoview by G. Sommer, looking west from the Forum, across entrance steps into Basilica, c.1860-1870s. 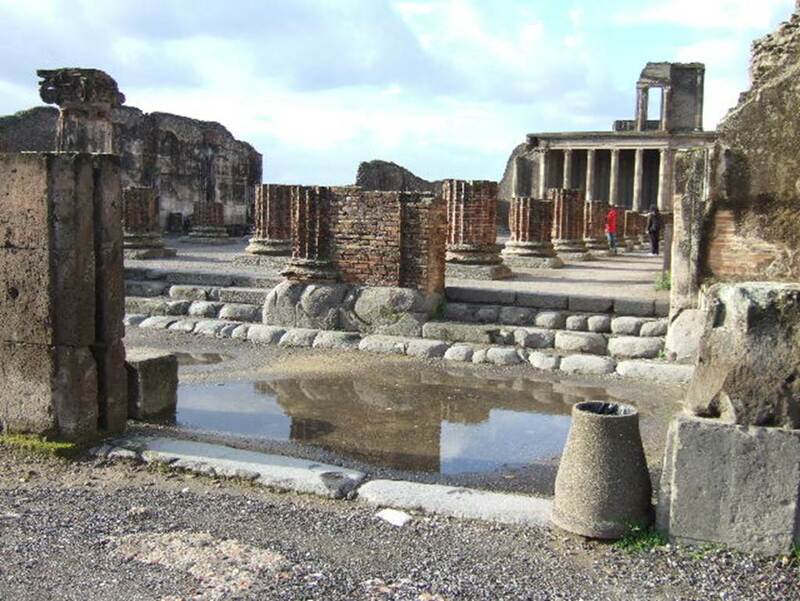 VIII.1.1 Pompeii. December 2005. 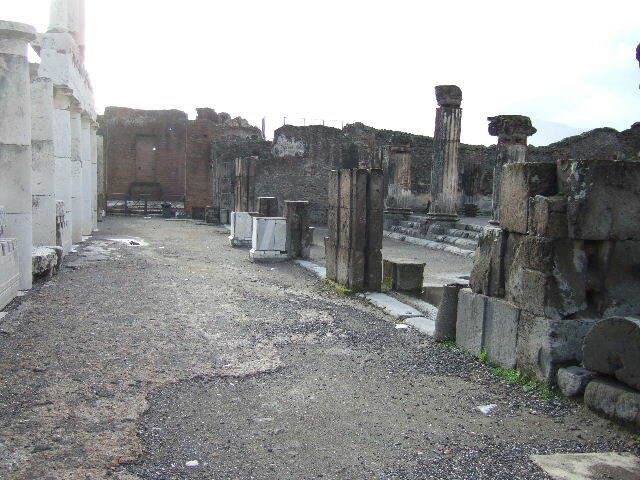 Basilica entrance steps at north end, looking west from Forum. VIII.1.1 Pompeii. December 2005. 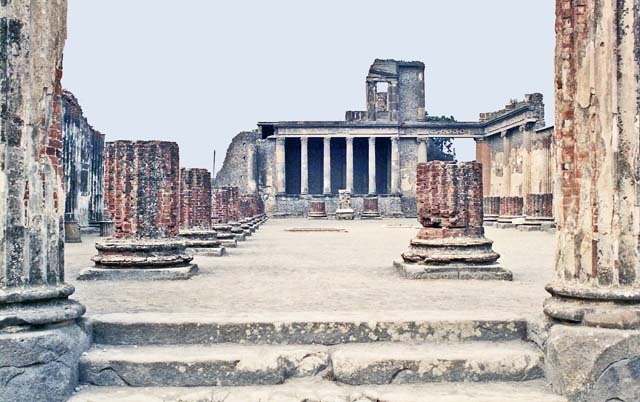 Basilica, looking west towards northern central entrance steps. 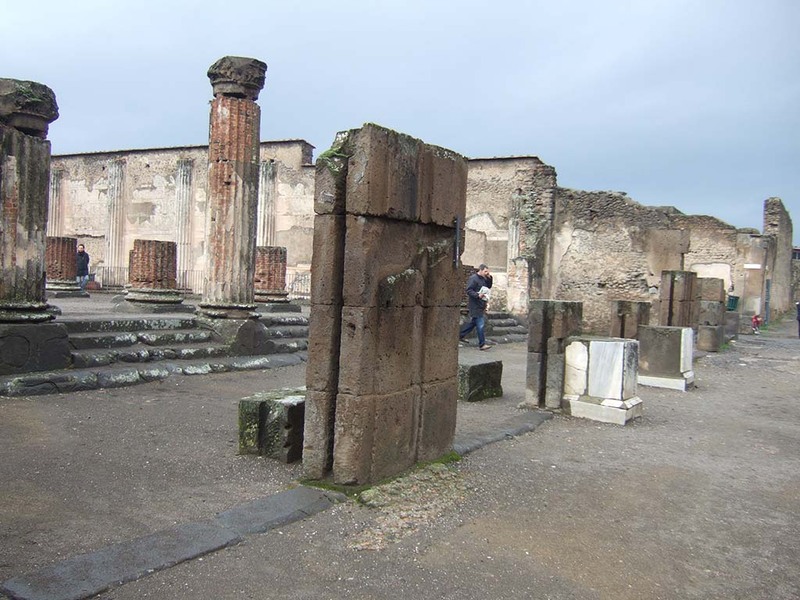 VIII.1.1 Pompeii. 1968. Basilica, looking west from northern central entrance steps. 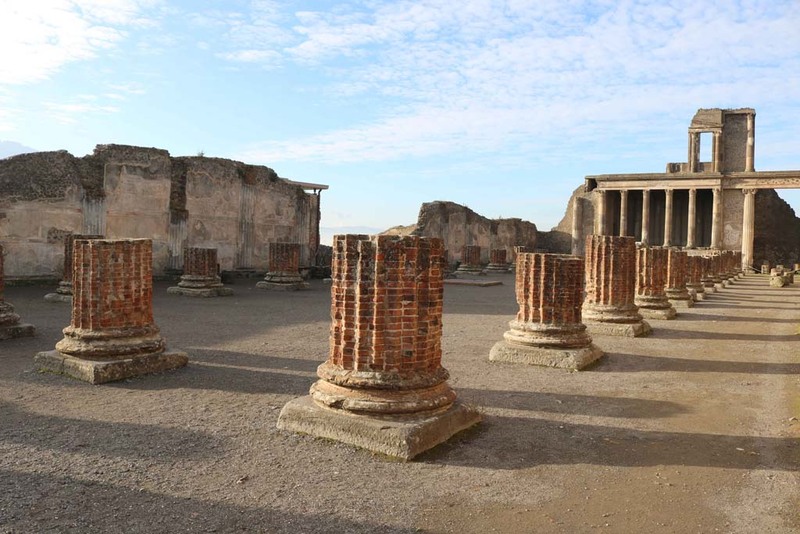 VIII.1.1 Pompeii. December 2005. Basilica, looking west towards central entrance steps. 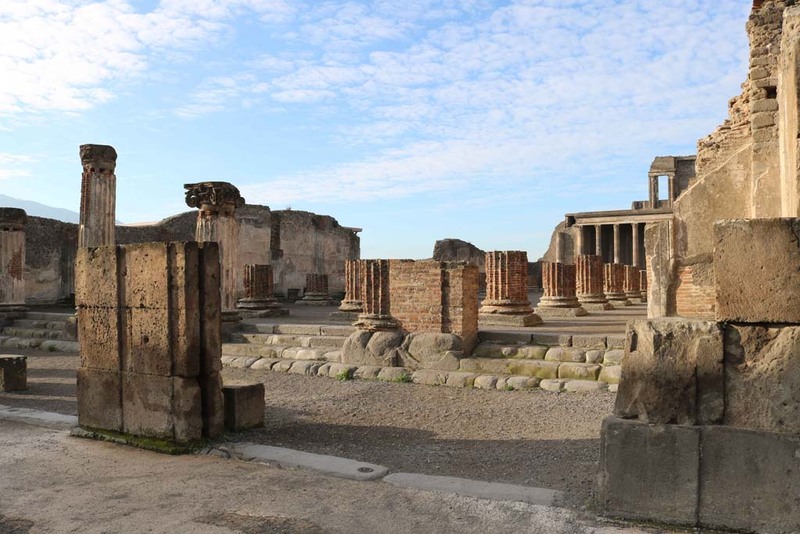 VIII.1.1 Pompeii. December 2005. Basilica, looking west towards southern central entrance steps. 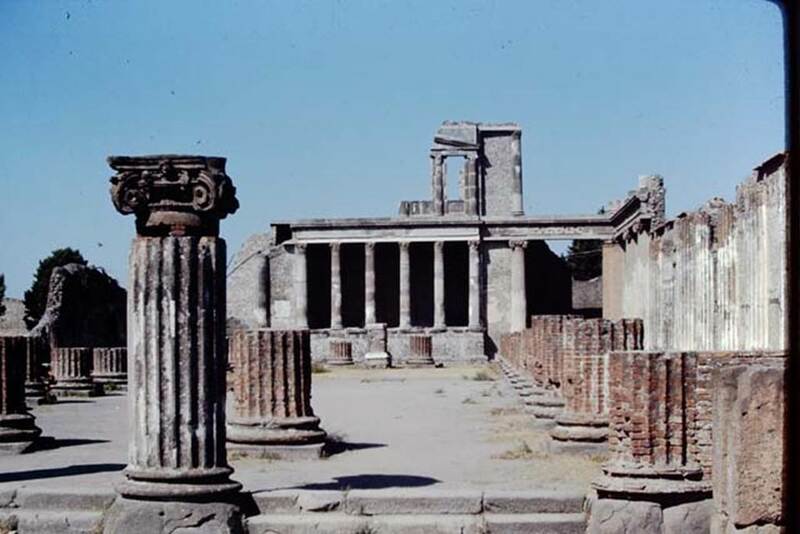 VIII.1 Pompeii. October 2001. Basilica, looking west towards southern central entrance steps. Photo courtesy of Peters Woods. 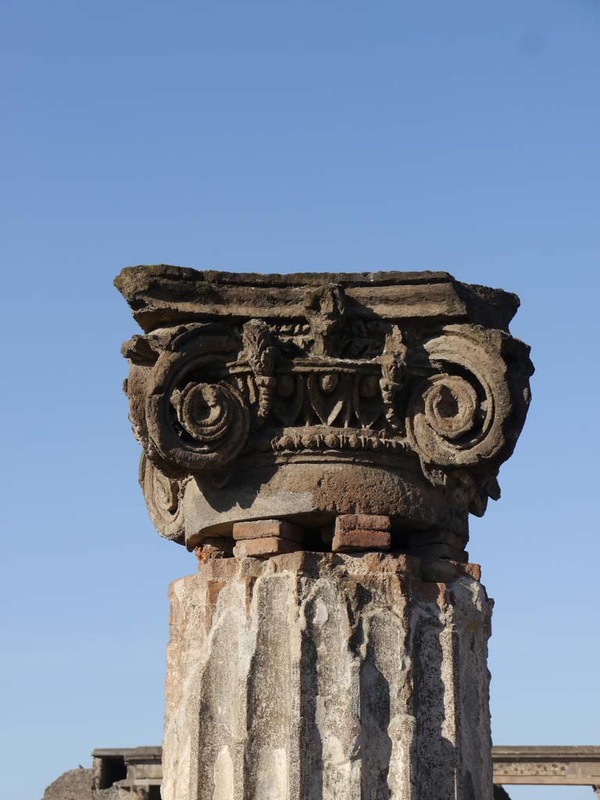 VIII.1.1 Pompeii. 4th April 1980, pre-earthquake. Looking west towards southern central entrance steps. Photo courtesy of Tina Gilbert. VIII.1.1 Pompeii. c. 1860s? Basilica, looking west towards southern central entrance steps. 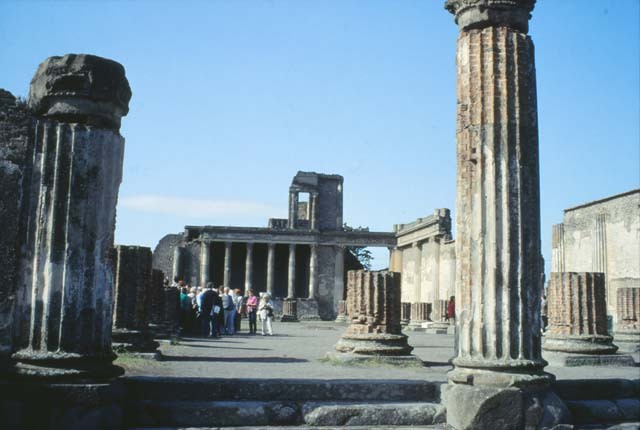 VIII.1.1 Pompeii. December 2005. Basilica entrance steps at south end, looking west along south corridor. 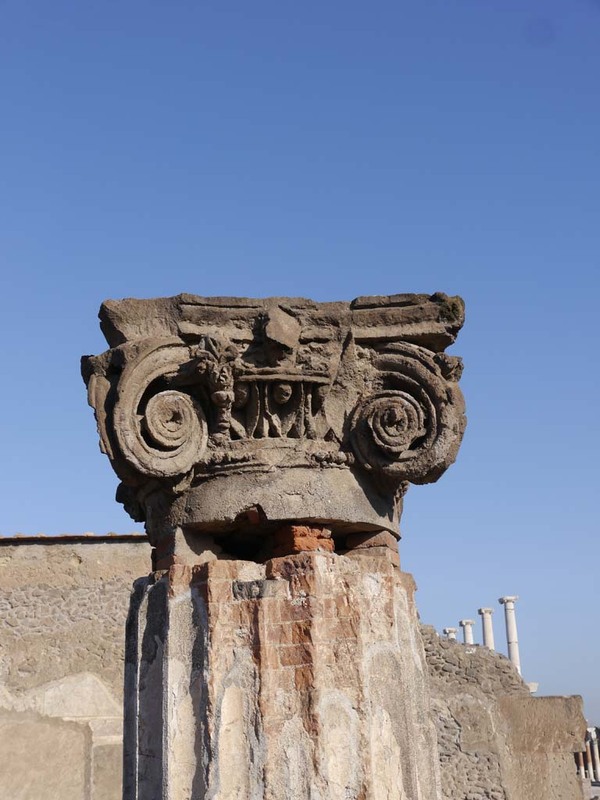 VIII.1.1 Pompeii, May 2018. Steps to south corridor, at south end. Photo courtesy of Buzz Ferebee. VIII.1.1 Pompeii. May 2010. Looking west along south corridor. Photo courtesy of Rick Bauer. VIII.1.1 Pompeii. 1968. Looking west along south corridor. Photo by Stanley A. Jashemski.